Naresh Agarwal’s controversial comment on Jaya Bachchan isn’t his first, the MP who joined BJP has received flak from the party in the past. 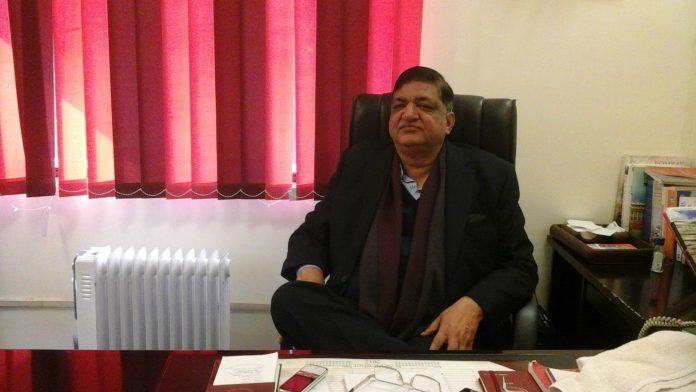 New Delhi: Naresh Agarwal, BJP’s new inductee, has landed himself in a soup again with his controversial comments. Considering himself snubbed by the Samajwadi Party (SP) after it nominated Jaya Bachchan to the Upper House, he said a “Nachaniya” (dancer) had been picked over him. The senior (SP) leader and Rajya Sabha MP has made many such notorious remarks which had even drawn flak from several BJP ministers in the past. While some BJP members have criticised Agarwal’s comments, many supporters questioned the party’s decision to welcome him into its fold. In July 2017, Naresh Agrawal had raked up a controversy by comparing Hindu gods and deities to alcohol in parliament. “Whiskey mein Vishnu basey, rum mein Shri Ram, gin mein Mata Janaki, Aur tharre mein Hanuman,” he had said. At a trader’s assembly last month, he had used casteist slurs for Modi, calling him a ‘Teli’ (oil-pressers) while asking Amit Shah to make trader-friendly policies. Not just that, he had equated former Naval officer Kulbhushan Jadhav with a terrorist. On the SP leader’s comments on Hindu gods, Maheish Girri, BJP’s national secretary and MP had said it was reprehensible. “Shameful remarks by Naresh Agarwal. Taking benefit of parliamentary privileges to abuse Hindu Ethos is condemnable,” he had said. Amit Malviya, BJP’s technology and information in-charge had given it a communal tinge. “Naresh Agarwal of SP denigrated Hindu deities in Parliament today. Would he ever dare say something like this for other faiths?” Malviya said. “Naresh Agarwal’s Rajya Sabha term is expiring after 2 months.Take a guess! Is he trying to become like-minded betrayers’ coalition candidate in UP RS polls? OR is desperately trying to challenge MS Aiyar as ‘Chief Anti-India propagandist’ to host next secret dinner for Pakistan?” G.V.L. Narsimha Rao, BJP spokesperson had tweeted in December 2017. But all that didn’t seem to matter when the BJP welcomed Naresh Agarwal into the party Thursday.